For years, many business owners had only one Internet marketing goal on their minds. Having a website be the top organic listing on a search engine results page (SERP) during a relevant search query. Back then, if you owned that first organic result, your website was ‘the bomb.’ It was the most popular website on Google. If you only have this same one goal in place today, it’s time for your internet marketing strategy to grow up. If I have to do it, so does your business. Because just like “the bomb” is no longer the coolest saying on the playground, organic listings aren’t the only way consumers find your business online. Have you noticed how much the first page of Google has changed? Organic listings are no longer the first thing a searcher sees. Or in many cases now, organic results aren’t even second. In fact, most users now have to scroll down (a lot) to see an organic listing result on a desktop. That experience is even worse on a mobile device. I don’t begin to see the organic results until I’m half way down the SERP. This wasn’t always the case though.Organic results had much more prominence on Google’s SERPs up until February 2016 when Google moved all paid results from the sidebar. And with the growing importance of local results since September of last year, organic listings just continued to move down the page. When these changes first took place, Internet Marketers were left asking the question “why?” After almost a year of this change, I think it just comes down to Google increasing the value of its service offering – AdWords. Paid ads are the only way to be the top result on a SERP. When I share this news with clients, it’s typically followed with an eye roll. Instantly my clients just think about dollar bills as they need to invest into existing or creating AdWords campaigns. As an extension of my client’s marketing team, I always remind them not to panic. The truth is, there is a way to bring your business to the top of Google without having to break the bank. It’s simple – create a killer AdWords Campaign! Over the next few weeks, I will be walking all of you through a mini blog series of best practices and tips on creating amazing paid campaigns this year. The series will touch on how to leverage all the various features of AdWords to increase quality score, what to look for when auditing your own campaign, and how to get ahead of your competition. If you’d like a specific question answered throughout this series, add your question in the comments below. 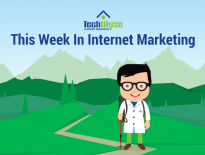 In introducing this blog mini series, I touch on the importance of companies reshaping Internet Marketing strategies to match what the first page of Google looks like for users today. In order for marketers or organizations to plan our paid strategies this year, we need to look to the past. Aside from the graphical pieces looking a lot different, paid ads were clearly off to the right of the search engine results page (SERP). AdWords was introduced by Google back in 2000. Which means for 15 years, paid ads were most commonly found on the right hand side of Google SERPs (for the most part – some ads did begin to dominate the top of the results page throughout the past few years). In 2016 though, Google placed ads at the top of organic listings. No more ads on the right hand side of Google. Maybe you noticed it, maybe you didn’t. Most likely, it’s the latter. This was on purpose. Google is always making slight changes to SERPs. Slight changes that many users typically don’t notice (unless you’re someone like me of course!). When small tweaks and changes are made to a tool that people use everyday, our habits begin to change to adapt. It may be painful at first, but eventually, we just get used to it. Although Google is making it much easier for searchers to interact with paid ads, it doesn’t mean that everyone has stopped looking at the organic results. People still feel that the non-paid results are the trusted sites that they are looking for. For the user in an emergency situation, she needs a solution fast! These types of users are most likely going to interact with a paid ad when frantically searching for a solution online. They will probably want a company that is close to them and also gets back to their phone call right away. How they find that company on Google doesn’t matter. They just need a solution, and fast. Therefore, they don’t care if the results show up in a paid ad or not. On the right hand side, we have someone who has the time to really invest into the research phase. They will quote out different options and look at various value propositions from your business and your competition. They will pay attention to a number of results through their searching online. Step 1 In Building Out a Great AdWords Campaign in 2017 : Know your audience and know their buying habits. For many of my clients, I typically get them to focus their AdWords campaigns on the ready to buy clients. AdWords campaigns should not be about answering questions like “what are the top energy efficient windows in the market?” Those are the type of research questions that are much better off being answered in an organic result (side note – this is an example of a great blog topic) as they are what marketers call “top of the purchasing funnel” searches. In my opinion, if building awareness is something you do want to achieve, AdWords isn’t typically my favourite tactic even if you’re a brand new business. Invest in search engine optimization – it will pay off in the end. 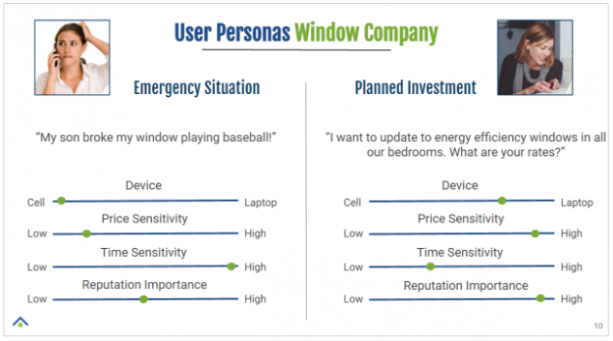 Rather, focus your AdWords campaigns on search phrases like “energy efficient windows for sale.” Typically these users are closer to a purchasing decision and are further along in the purchasing funnel. In my experience, this is where the sweet spot is for AdWords campaigns. Knowing your audience and their ready to buy habits will allow you to really focus an AdWords campaign build when selecting keywords, ad scheduling, ad copy etc. At the end of the day, AdWords should be about the best return for your investment. Step 2 In Building Out a Great AdWords Campaign in 2017 : Take advantage of all features in AdWords. At the end of 2016, I had the opportunity to work on a large AdWords audit with our Director of Paid Media, Tyson, for a large automotive brand in Canada. The biggest take-away from this project: no matter the business or monthly AdWords spend, companies of all sizes can be missing out on leveraging all available features in AdWords. AdWord campaigns aren’t just about ad copy and how much money you are willing to spend. Rather, it’s about feeding Google’s need to gain as much information about searcher behaviours for the IT giant to build up its data farms. Yes, you read that right. In my opinion, the more information you give Google about users interacting with information, the more likely you’ll been seen as a gold star student in Google’s eyes. So what does this all mean? A successful AdWords campaign leverages all extensions and rules within AdWords. Here is a breakdown of the top feature sets, what they mean, and recommendations in each section when setting up or managing an AdWords campaign. Please note, I’m only focused on search text ads in this blog. In a complex campaign set-up, budgeting isn’t just about “How much money should I spend today on paid ads?” Instead, we focus on how we are splitting budgets across campaigns and if we notice that we a losing out on impression share. When reviewing budgeting details, we focused on the impression share lost to budget metric. This metric indicates the percentage of times that an ad does not get served on Google due to budget restrictions. Almost all of my clients have campaigns that are losing impressions due to budget. In order to achieve a low percentage of Impression Share Lost To Budget metric, you may need to look at increasing your spend in AdWords. That being said though, be sure to work through each item outlined below. The smarter you are with your campaign set-up, the more likely you’ll be able to reduce your click spend. Eligible impressions are estimated using many factors, including targeting settings, approval statuses, and quality. Impression share data is available for campaigns, ad groups, product groups (for Shopping campaigns), and keywords. Building a keyword list takes time. And once a strong keyword list is in place, markets need to pay close attention to the bidding strategy, quality scores, and ad groups for each individual keyword. 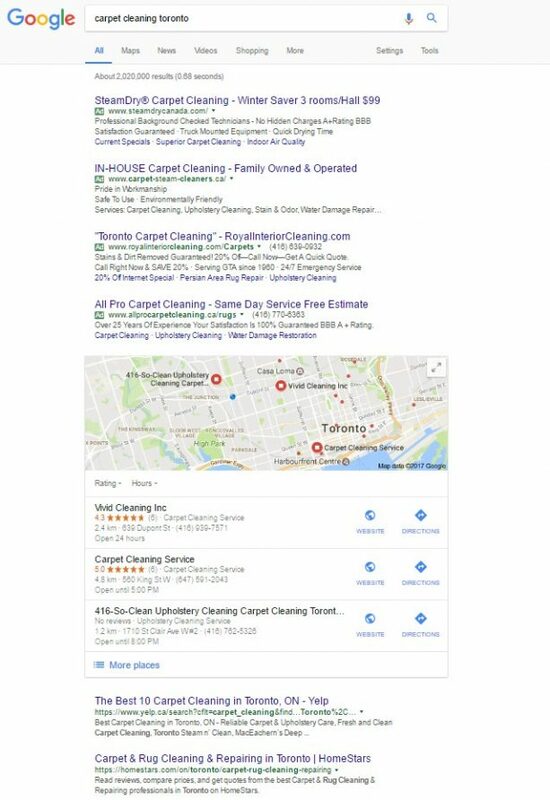 When someone searches on Google, your ad could be eligible to appear based on the similarity of your keywords to the person’s search terms, as well as your keyword match types. Keywords are also used to match your ad to sites in the Google Network that are related to your keywords and ads. Determining ad copy that resonates with your target demographic is determined by testing out various content ideas. 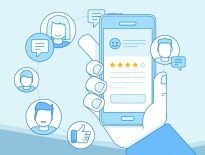 If you leverage the list above as a guideline of must haves in your ad copy, you’ll mark off the main requirements needed to increase overall user experience. Expanded text ads are the next generation of text ads, designed for a mobile-first world with both users and advertisers in mind. They provide more space for your ad text compared to standard text ads, and are designed for optimal performance on mobile devices so you can reach potential customers when they’re on the go. Expanded text ads are similar to the standard text ads that you’re used to, but with a few key differences. Expanded text ads have two headline fields instead of one. The two description lines have been merged into one field. The domain of your display URL is now based on your final URL domain. Your text ads are now mobile-optimized. Having strong ad copy that stands out and evokes engagement should also be a high priority. It is recommended to have copywriters involved in writing a variety of ad copy options that can be tested over time. You’ll also want to ensure that your main keywords are included in your ad copy! Once there is more than one ad copy experience available for Google to serve, ad copy options will begin to rotate. Optimize For Conversions: Similar to Optimize for Clicks, this setting will deliver ad copy that is expected to provide more conversions. Rotate Indefinitely: This setting rotates ads evenly for an indefinite amount of time. There is no optimization within this option. It’s been estimated that consumers are hit with an average of 5,000 ads per day. Coming up with creative ad copy that captures the attention and speaks to a consumer is a challenge for any marketer. It’s good practice to have ads rotating on an Optimized For Clicks setting. However, I would recommend that you should be cognizant of the importance of the testing period for new ad copy. The 90-day period of testing ad copy will highlight the ad winners. This feature allows you to increase or decrease spend depending on the device (mobile, tablet, or desktop). AdWords marketers would set positive or negative bid adjustments based on consumer device patterns. When starting a campaign, you can look at your Google Analytics results first to see if there are specific trends on devices that are being used to visit your website. You can leverage those data points as a starting point for setting device bid adjustments. But for new campaigns, you will need to collect a few months of data to understand if you would be putting more of your spend towards users on mobile devices vs. desktop as an example. This feature ensures that ads are only being served to users within the desired region where your customers live. Second to that, marketers can also ensure that specific locations are excluded. If this is not set-up properly, organizations face the risk of spending budget in locations not applicable to a product or service. Additionally, layering specific locations over your geo targets allows you to create location bid adjustments to bid up or down by percentage based on performance. When starting a campaign, you can look at your Google Analytics results first to see if there are specific trends on where your clients are coming from that are visiting your website. You can leverage those data points as a starting point for setting device bid adjustments. As a business owner, you’ll probably have a great understanding of where your clients are located. If you are limited by budget, it’s best to focus on specific locations first and build success and drop your cost per lead in those areas. Once you have a strong campaign in place, you can start to target additional locations. I would also suggest reviewing your location data every two months or so to see if conversions cost more or less in different location regions. Location targeting is an area of AdWords that allows you to be very strategic with your budget. Typically used by service based companies when they don’t wish to have their ads appears during off hours. However, there is a strategic opportunity to leverage bid adjustments to spend more or less during various hours of the day/days of the week. If you are only open during specific hours, don’t have your ads running 24/7. If you do have an online store, be sure to keep your ads running at all times. Again, after a few months of data, you can review your day of week and time of day dimension reports in AdWords to understand when conversions are coming in for your business. Some of my clients see a lot of success in the middle of the week, while others see most of their conversions coming in on the weekend or after work hours. Once you understand when users are converting, you can choose to spend more during your peak conversion hours and days to bring out the most in your budget. If budget isn’t a limitation though, it’s best to be front of mind for searches 24/7. Ad extensions are the extra colour you can bring to your ad copy to help it stand out in the crowd. It’s another way to encourage a consumer to click on your ads and increase CTR (click through rate) which is the KPI for ad copy health. This is an area that is routinely overlooked, and where small improvements can have a large impact. Having strong ad extensions not only provides users with more reasons to click on a particular ad, but it is also another great way to increase the prominence of your ad on the search result page. 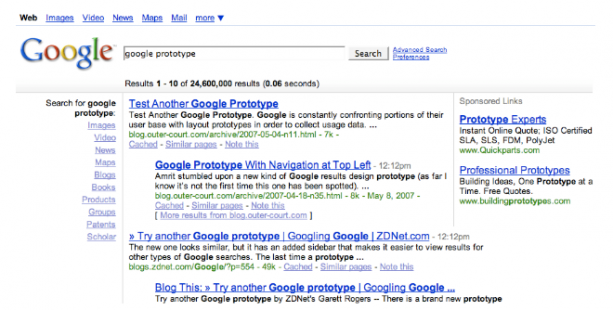 With better extensions, you’ll have improved visibility and provide more value for searchers. 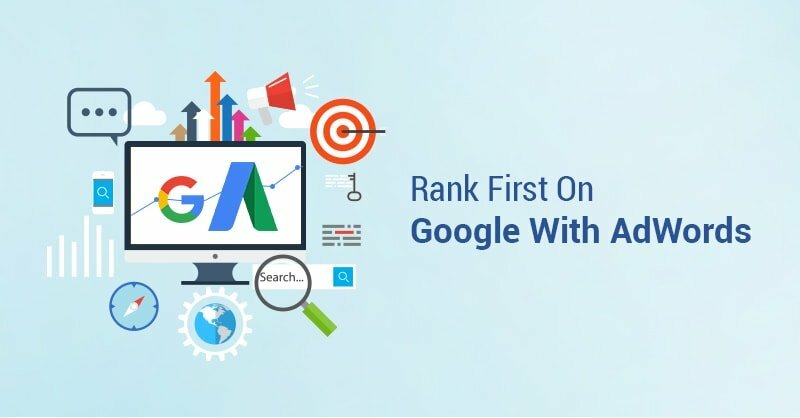 As the main goal for any business is to dominate the top paid result on the first page of Google, adding and managing extensions should be a focus. As indicated above, extensions not only provide value but also increase the visibility of your ad. On top of that, leveraging ad extensions will help you stand out from the competition. Google launches a number of betas each year. Leveraging betas are a great way to stand out from competitor ads. But, the public may not have access to these betas when they are first launched. It’s only agencies like TechWyse which is a Google Partner agency that will have access to betas before the general public does. I would suggest reading those Google AdWords emails when they come into your inbox. You’ll be updated directly from Google once a new feature is made available to you. Setting up new features within AdWords will allow you to stay ahead of your competition. Great AdWord Campaigns Require Time! When you are served an ad on Google’s search engine, it may have never occurred to you how much work went into that ad. This series is intended to just cover the basics of setting up a great AdWords account. But realistically, I haven’t even scratched the surface of how much work goes into a great AdWords campaign. If you are a business looking for a trusted agency to help run and optimize your AdWords campaigns, don’t hesitate to give us a call! Until then, I do hope that this miniseries has helped provide additional guidance on creating a great AdWords campaign in 2017.